Panama in Central America is a hive of activity. Hot, electric, colorful and bustling with culture. Latin reggae, jazz, Salsa and Merengue are blasted from homes, buses and businesses at all hours of the day and night. The Latin people are beautiful, welcoming and have a passion for life. Panama, Central America is most well known for its famous ‘Panama Canal’. However, Panama is socially and culturally much more than just that. 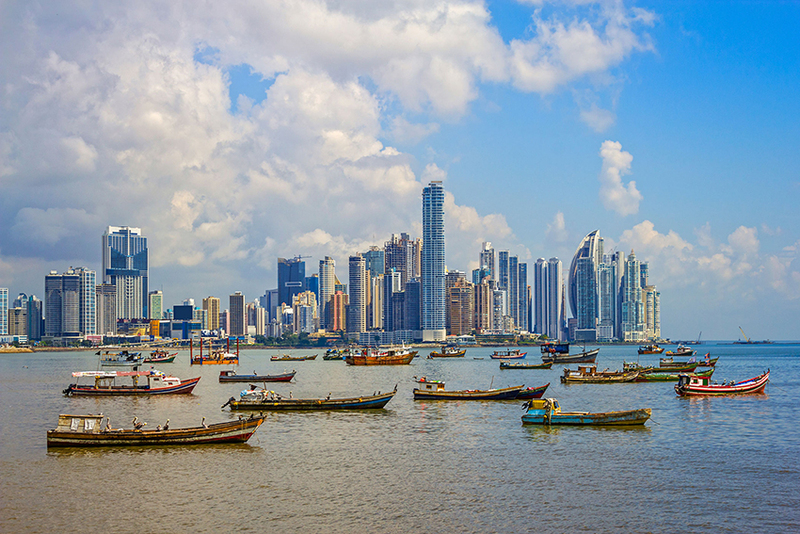 Bordering the Pacific Ocean and the Caribbean Sea, Panama shares its borders with Costa Rica and Colombia. The country has an abundance of rainforests, jungles and beautiful beaches to explore. The cuisine of Panama is made up primarily a Central American Latin diet and a fusion of Caribbean, South American and American. With the most delicious dishes coming from traditional recipes. The most amazing aspects of the Latin culture in Panama is reflected in the music, food, dance and fashion of the country. 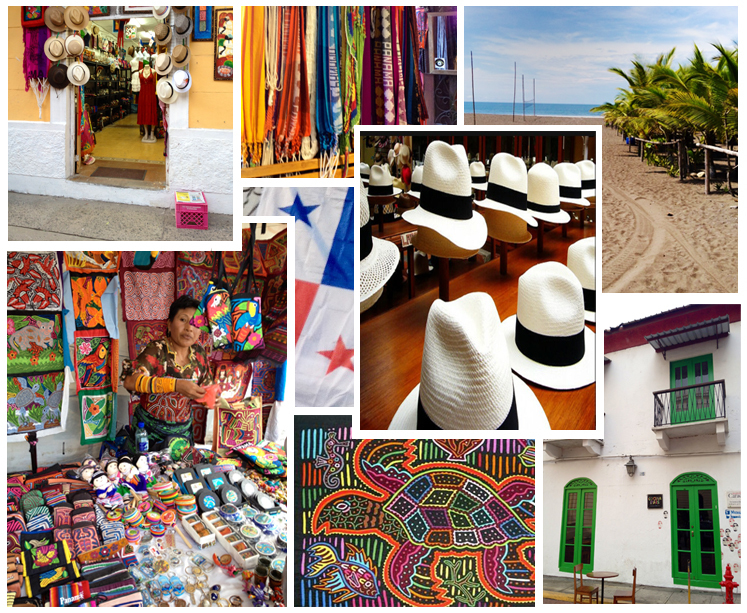 The bright, bold colors of Panama are seen at every turn. In the pinks and purples of a swaying hammock. The orange and red colors seen in beaded handmade jewelry worn by the indigenous women, the beautiful textiles called ‘Molas’, and the handbags and sandals made by artisans which are all sold in outdoor markets. 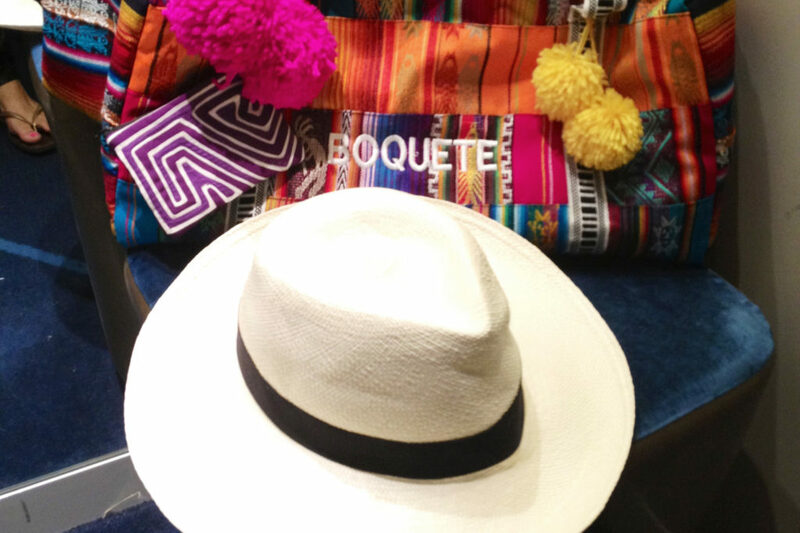 Fashion in Central America is directly linked to culture in many respects. The traditional style of dress is perhaps the most distinctive fashion look. The historical national dress of Panama is called ‘the Pollera’ and it consists of a bold often floral print skirt, a ruffled cotton blouse with bright ribbons and is accentuated with brightly colored pompoms. Gold layered jewels and beaded intricate headdresses also add to the overall impact of the cultural dress worn by women in the festival and carnival periods throughout the year. In a fashion sense, Panama is strongly influenced by the Caribbean and South America in terms of trends. Brazil’s Rio De Janeiro Fashion Week highlights the bright and often sultry trends which work their way up to Central America each season. The most universally known fashion icon from Panama is indeed the Panama hat. It represents Panama well. It is suave and dramatic all at once. Worn by the likes of many movie stars, celebrities and everyday fashionista’s. The striking straw hat is perfect for hot and steamy weather, as well as being practical piece in any wardrobe no matter what the location. Essentially Panama’s fashion is greatly influenced by its tropical climate. Cool light shirts and blouses, classic blue jeans worn by both men and women is the uniform of choice worn by many Latinos. Due to the hot climate locals quiet often take a more casual view towards fashion; however when the party season hits all the jewels and finery are put on display. Panamanians are indeed known as party-loving people. When the sun goes down, Central America comes to life with a vibrant party scene. The city’s nightlife is wild and varied. Countless nightclubs, casinos and bars are packed to the early hours of the morning. There are three main central areas where the festivities take place; Casco Viejo (old town), The Amador Causeway and Calle Uruguay (Bella Vista) are the party hubs of the city. Overall, Panama is one of the most fashionable evening destinations of the Caribbean. It has some of the best dance floors and thriving pubs, lounges and restaurants on offer. It is a rich mix of the new with a strong hit of the old and is dynamic, intense and exuberant. Ultimately, Panama has a multitude of attractions to offer any tourist; including fashion, art and cuisine. It is truly an amazing mix of culture and style to be experienced and enjoyed by all world travelers.